Finding the right source for prescription contacts near Medford, MA can be a challenging undertaking. Parrelli Optical can make it simpler with the most comprehensive eye examinations and the widest selection of contact lenses in the area. We offer lenses to treat near-sightedness, far-sightedness, astigmatism and other visual impairments; we can even provide bifocal, trifocal and progressive contact lenses that work in the same way that prescription bifocal glasses do. Our extensive range of choices allows you to find exactly the right solution for your vision correction needs. Parrelli Optical provides these state-of-the-art examinations to ensure the health of your eye as well as the clarity of your vision. At Parrelli Optical, we combine the most comprehensive eye examinations with the widest selection of quality contact lenses to ensure the right fit for your eyes. We offer tinted and colored contacts to enhance or change the natural color of your eyes and provide an array of soft, hybrid and gas permeable contact lenses to suit your particular needs. 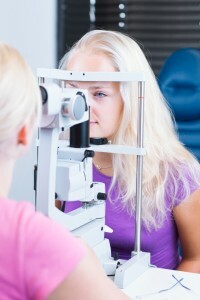 We take pride in finding the right solution for your vision correction needs. Whether you need daily wear contact lenses that offer exceptional comfort or gas permeable contacts to protect damaged corneal tissue, Parrelli Optical can provide you with the most suitable and comfortable prescription contacts near Medford, MA.